Awesome rocky giant soared above blue sky and white clouds! Because in the end, you won’t remember the time you spent working in an office or mowing the lawn. Climb that goddamn mountain. Max Altitude 6189m / 20305 ft.
Island Peak and Everest Base Camp Trek is the perfect blend of adventure and culture as it provides a wonderful chance to explore the Sherpa villages, visit the monasteries and learn the local living style of people along with the thrill of climbing icy trails to observe the dramatic view of the Himalayas. Island Peak is one of the impressive trekking peaks of Everest region and also the most popular among trekkers. 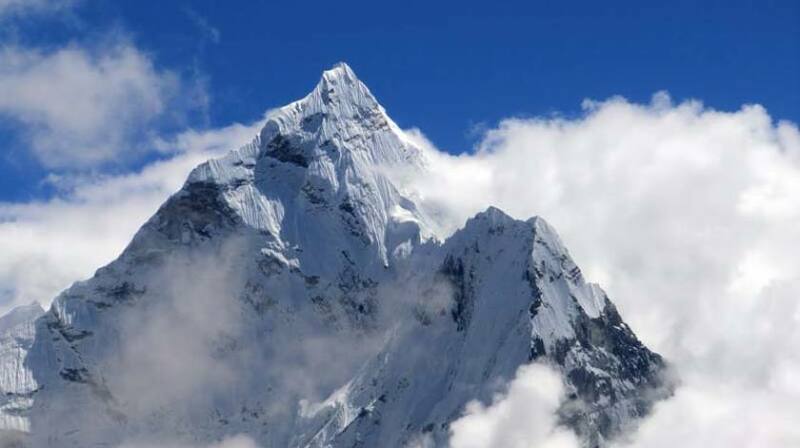 Being on the easy climbing trail with fewer technicalities, it is the best choice for trekkers to experience the thrill of peak climbing and rise up to 6189m to witness the grand view of Himalayas. And the journey to Everest Base Camps is truly wonderful on its own. 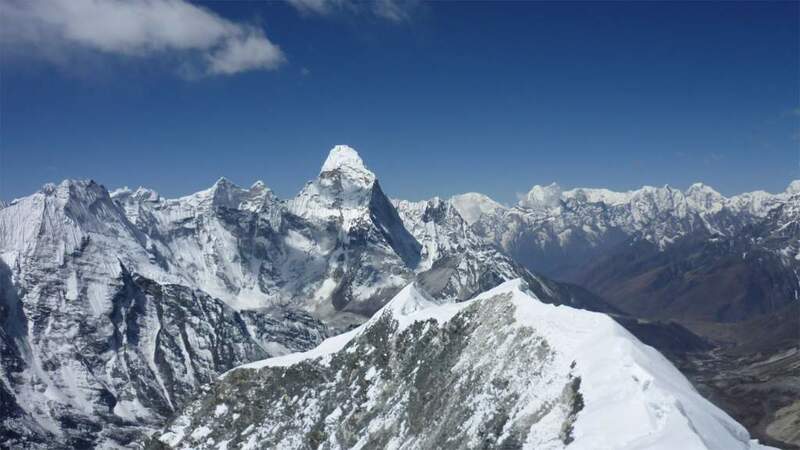 Island Peak is suitable for aspiring and beginner climbers, with proper acclimatization by reaching Everest Base Camp before the climb and later put efforts to test their own audacity on the wall of ice. With a gradual increment of elevation throughout the trip, the safety and high altitude sickness are highly prioritized and hence carried out in a proper manner with necessary rest and acclimatization.